I was working with one of my Leadership Strategy clients who was feeling a bit overwhelmed at work. Fred’s workload had increased. Changes in the company he worked for required him to oversee the completion of new objectives that were foreign to him. Prior to the changes in the company, Fred’s department ran like a well-oiled machine, which was a major accomplishment. Fred wasn’t used to struggling at work. Eventually, he began to consider other employment options. He was an exhausted executive who began to question his ability to succeed in his redefined role. We all get sidetracked with new projects, staff concerns, learning curves, and other tasks that compete for our attention. Being sidetracked makes it difficult to manage our time, and it can skew our perspective, especially if the distraction lasts longer than we anticipated. Fred is a great leader. That’s why he was given increased responsibility, which included new team members and new goals. One of the things I appreciate about Fred is that he knows how important it is to ask for help. As leaders, we frequently take on the burden of having to know and do all things well. It’s an unrealistic expectation we often place on ourselves. 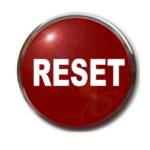 It was interesting that the word Reset meant starting over for him. Reset simply means to set again. 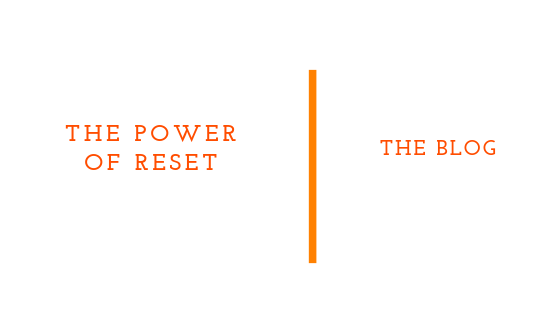 I explained how I recently hit the Reset button. After reviewing and implementing changes in my own business. I knew there were things I had to do differently. In an effort to accomplish what really mattered, I decided to tweak my work schedule to make sure I’m accomplishing critical tasks during my most productive times of the day. My new schedule wasn’t conventional, but it worked. This small change allows me to serve my clients and my team members on a higher level while closing out the day with greater ease. I helped Fred create an action plan that included not only his department but other departments that would be impacted by the work he and his teams are responsible for. Fred went back to work, met with his teams, and hit the Reset button by making the changes I recommended. My recommendations and Fred’s willingness to adjust helped him realign and redistribute work in a very different way, which benefited his team and the organization. Fred didn’t need to search for another position. He needed help. We gave him the help he needed. I understand how important it is for leaders to have fresh expert eyes on a frustrating problem. We get in the trenches with our clients, so we can help them clearly see their path to success. What are the simple changes you could make today that would make a big difference for you or your organization? Perhaps disconnecting from your devices more frequently, taking additional time to engage your teams, focusing on smaller portions of a work project, or maybe merely allowing your free time to actually be free would make a significant difference for you. Here are three more tips. Reexamine – Do you have the resources you need to accomplish your goals? Do you have the right people supporting the mission? If not, create the team you need and evaluate their strengths to be sure you are optimally utilizing your team’s greatest assets. If you do have the right team players, then restate the goals and check in with the team to make sure they have what they need to succeed. Working together on a mission with people you can trust and those who trust you makes a huge difference. Remind – What do you need to accomplish? Remind yourself why this goal is important. There will be days you consider quitting or unnecessarily making massive changes to your plan that you may regret later. Instead, remind yourself why completing the goal or project is important. It will inspire you to keep moving forward. It’s also important to remind yourself of the process you created. Does your action plan still make sense to you on some level? Probably so. Give yourself some credit. Go back and look at what you are doing and keep going, knowing you can make small tweaks along the way when necessary. Team members need to see how motivated you are. Your motivation alone will ignite an energy in them that you probably didn’t expect. Remember they are following your cues. Recharge – Taking time to pull away can change your perspective. Sometimes we are distracted, disconnected, or overwhelmed because we are tired and need to rest. Remove the second E from R E S E T and the message is clear.